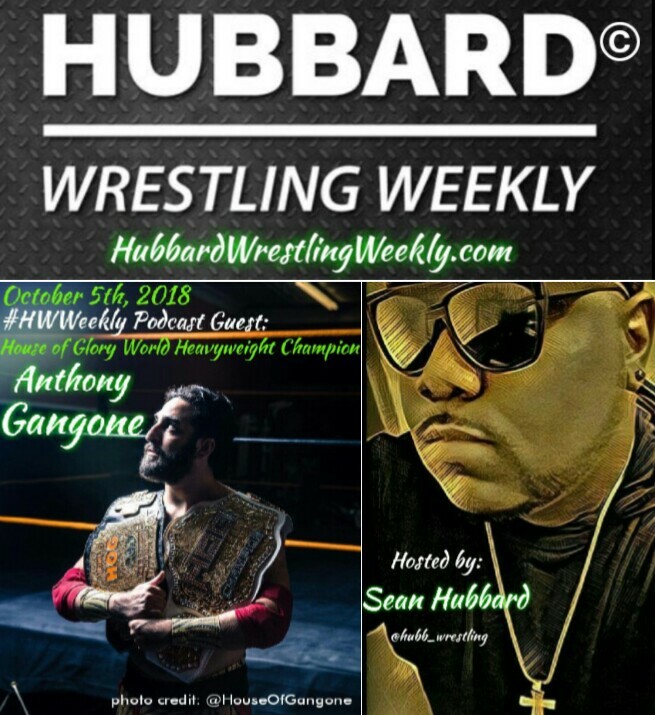 The new fall season of the HubbardWrestlingWeekly.com podcast rolls on with one of the most anticipated #HWWeekly broadcasts in history, as just hours before he defends his House of Glory wrestling Heavyweight Championship of the World at HOG’s ‘Extreme Warfare’ mega-event in Queens, New York City, World champion Anthony Gangone drops by the show to discuss his beginnings in the world of professional wrestling, his rise to the championship, and his association with the newest member of his stable (The “House of Gangone”), the legendary Amazing Red. This show is a must listen, and it is an exclusive just house before his world title defense in the big apple. Click play. Listen. Enjoy. You’re welcome.